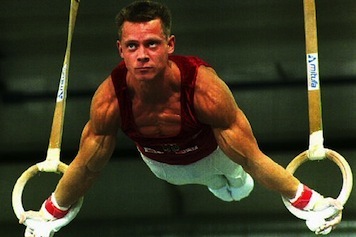 When Doctors told Former athlete" Andreas Wecker he was about to die from an incurable chronic illness - he was devastated. But it gets worse... his weight dropped to 84 lbs with 80% blood loss. To save his life; Doctors gave him 8 blood transfusions and informed him they will remove large sections of his intestines if he did not improve. ...After consuming an unheard of form of specially-extracted "seed oils" - He now feels EVEN HEALTHIER Whan he was an athlete! From: "Two recently-presumed dead guys"
Have you ever seen someone so miserable, they just want to die? My friend Andreas was withering from disease in every way... emotionally, mentally and physically. ...You're talking about a guy that was beyond healthy by 99% of most peoples standards. Well about a decade later... he quickly became so unhealthy, and so sickened - it came to the point - where he began contemplating suicide. 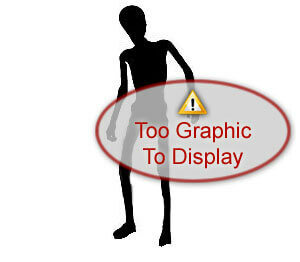 ...Decayed from disease... he weighed just 84 pounds. He was beyond sick, depressed, in horrible pain, and dying from Crohns. And when it couldn't get any worse, Andreas is discovered UNCONCIOUS AND RUSHED TO THE HOSPITAL! And remember... this was a guy that was considered to be one of the strongest and healthiest people alive! But in the early 2000's some digestive issues he was dealing with BLEW UP on him... He quickly went From "international celebrity" to hospital horror! 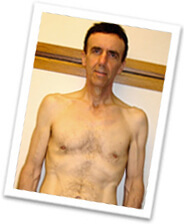 It was 2005, and there he was... weighing only 84 lbs and had lost 80% of his blood due to a deadly digestive illness that affects 12.6 million people every year internationally. He had totally exhausted every medical treatment, except had refused to allow any traditional surgery that removes large sections of his intestines to stop the bleeding. But something inside of Andreas told him NOT to allow the removal of his intestines, although it may cost him his life. Luckily for him... The TRUTH surfaced in the NICK OF TIME! They told Andreas the reason for his illness was something the medical community was not fully aware of. He had a severe fungal infection (candida) that is very common for millions of people but Andreas's infection had blown right through his intestines and was in his blood. They also told him that he likely had a bad case of heavy metal poisoning as well - which is also very common in our society. ..Left him with a colostomy bag! ...And that's if he even were to survive the operation! His friends explained to him how that all of our health runs off the tracks the further we get from the original nutrition that starts all life on the earth. They told him that many different types of seeds contain the exact DNA blueprint to bring our health back on track, and BEYOND. Each season, a single seed planted can result in hundreds, thousands and even millions of seeds in some plants at harvest. When you take trillions of these precious seeds, press them perfectly and then consume them, you have the golden ticket to the top levels of health possible in this lifetime. They also told Andreas that 100% of seed oils you can buy at the health food store are going rancid and are dangerous for your health because the rancid omegas bind to proteins in the brain and form plaque! It sounded like a lot of work... but since Andreas was in such a desperate condition, he was willing to try pretty much anything! ...So he checked out of the hospital - and with the help of friends and family began consuming fresh pressed seed oils every single day and immediately began to get better! As it turned out, all he was missing were the crucial nutrients locked in the seeds that immediately began to flood his body with nutrition that he had never experienced in his entire lifetime! ...Andreas continued to regain his health and dramatically improved over the next few months. This was a huge breakthrough for Andreas and for the rest of the world around him as he became deeply inspired to tell people about the power of the seed oils and how God had brought this to him in his most desperate hour. ...where he would have lost sections of his Digestive Tract! 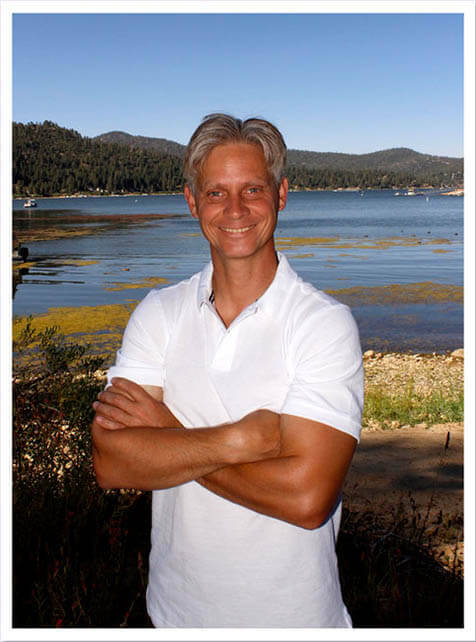 Now Andreas had to continue learning about seed oils over the next 4 years as he became healthier than he had ever been in his life! 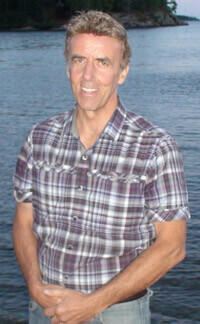 In 2007, Andreas moved his family to California and started pressing seed oils to make a living. The problem was, he had to get the people to take the seed oils right away after they were pressed and he believed there had to be a way to press the seed oils where they would stay perfectly fresh for a long time. He searched all over the internet and made many calls to Europe and even talked to the most advanced people in the industry and everyone told him - there is nothing you can do to press seed oils and keep them fresh! It was the same discipline it took to win the Gold Medal in 1996, applied it to win the REAL Gold Medal for Seed Oils in 2012! ...But this time he didn't have all the cheering people around him - he just quietly won it with the help of God and the complimentary inspiration of his Mechanical Engineer in the Pressing room. Andreas meticulously tested seed pressing after seed pressing for 29 solid months until he perfected every single seed oil. Seed oils that stay perfectly shelf stable and just as fresh as the day they were pressed - without ever needing refrigeration!! Symptoms that Doctors look at - to tell you what is wrong with you - is a totally BACKWARDS way of approaching health! ...Instead of taking a treatment for symptoms, Andreas learned 'first hand' how our bodies constantly re-generate themselves to amazing health when we feed every cell with God's amazing nutrients originating in all the seeds. It was this basis that Andreas envisioned a truly healthy body. A body that operates and repairs itself properly. A body that regenerates itself with healthy new cells and replaces out the corrupted ones! ...A body that functions at an optimum level! A body that ages very slowly! ...But this miracle wasn't dropped off of a magic carpet, or left on the window sill by a tooth fairy. It was much different than that... because it was something he now could CONTROL. ...Health and vitality was literally at his finger tips! and you control the health of your entire body! An amazing deliverance from deadly symptoms just by simply consuming these exclusive seed oils on a daily basis! ONE OF A KIND seed-oils! ...And of course - how they can help YOU! But for now, it's important to note: Today, Andreas has the most optimized health in every aspect - and feels more vitality pouring through his blood than he'd experienced even as an award-winning athlete! His discovery of our "unique seed-oils" can help you - GET HEALTHIER, FEEL INCREDIBLE and AVOID ILLNESS potentially - for the rest of your life! They present a LIFE-CHANGING effect - that literally can't be put into words. And this is EXACTLY what we want to help YOU experience! Eliminate illness before it EVER begins! At the age of fifty (after twenty years of declining health and nearly dying of MRSA) it was discovered that I have Celiac disease, which is a food allergy to wheat or gluten. I was having a great deal of abdominal swelling and sinus problems. 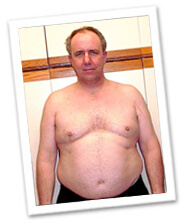 I began taking Andreas' seed oils and before long my abdominal problems were disappearing completely. My skin and hair began to improve. I stopped taking over the counter drugs. For the first time in twenty years I was able to get over a cold without antibiotics. Thanks to Andreas oils I have been off antibiotics for two years and feel better than I have ever felt in my life. I am now sixty years old and have the body and skin of a man in his thirties. Thanks again for your wonderful product! Because - if you want to feel better than you ever thought possible, then you won't want to go ONE day without these precious seed oils in your body! "...But is this story all TRUE!? ...How do we know this wasn't some fluke?" First off, I empathize with you. One, because I watched Andreas go through transformation after transformation while he literally shocked me with his incredible levels of health... so I know firsthand he's a living, walking testament - to the miraculous healing power of these seed oils! Two, because - during the effective days of his recovery - he didn't take ANYTHING ELSE! ...Just him, these seed oils, and a new, ever-increasing level of health! And 8 years ago, I too was suffering from a life-threatening illness. I was disgustingly overweight, had chronic inflammation, condemning fatigue... and was ridden with parasites. I was only 46 - my body was aching, weak, and I felt just absolutely MISERABLE! And unless I found a miraculous solution, my future was ALSO very limited. Within two years, I was so sick with liver disease that I had gone down to a skeleton and turned all yellow. So I finally got my hands on them. 100% HEALTHIER AND MORE ALIVE! From the moment I had my first teaspoon of his life-intact oils, I could immediately smell, taste and FEEL the difference... in them, and in my body. I TOTALLY devoted myself to these oils! Along with a very few, high-end nutrients, these oils are one of my primary staples today. And I'm going to tell you EXACTLY why you absolutely NEED to do the same! felt in your early 20's?? That's the kind of life energy, vitality, joy, agility and limberness I am talking about! ...Within DAYS of consuming these oils, I was completely mobilized, agile and more vital than I was at 17 YEARS OLD!! I wanted to catch up with Andreas as fast as I could (I admit, in my enthusiasm - I did take a lot in the first four days) and it took less than one week to see profound changes in my own health. I felt SO GOOD, I could hardly believe it! We simply include our experiences for YOUR GAIN. Because, quite frankly there are NO words for the transformation you're going to feel! Unhealthiness doesn't need to be part of your life! That was realization #1 for me. Hey, I think I feel better than just about any human has felt in their entire life! And I know it sounds goofy... but make no mistake about it, our "one-of-a-kind" seed oils will absolutely change your life - forever. I'll gladly explain why your body needs these oils, and why they're so different from any other "oil" you've EVER consumed. Because there are specific REASONS. Again, it starts with LIFE in each and every CELL. Produce healthy cells, and you'll produce a healthy body... it's as simple as that. In that cell membrane are Lipids Oils. ...And without Lipids - the cell will NOT function! Our bodies constantly have to put up with rancid lipids, damaged lipids - in all the food we eat that is cooked, processed, or otherwise manipulated, contaminated, etc. ...And our cells are SUFFERING! Give your body a complete OIL CHANGE! Our body has the innate intelligence to know good from bad. ...So, if all it can get is bad oils, meaning bad lipids, then that's what your body is forced to use... which eventually results in ill health. But - when your body gets the grand opportunity to consume perfect oils - and receive perfect lipids - it instantly starts replacing the bad with the good as fast as possible! This is why your body needs these specific oils to provide the lipids it's been craving for so long! LIFE delivered right into YOUR CELLS! You can NOT expect "any" oils to solve this problem for you. Because we retain the "Patent" on the only oils PROVEN to deliver healthy lipids to your hungry cells each and EVERY TIME you consume them! Like Nothing You've EVER Seen? " ...Because most of them will actually DAMAGE your body or are downright RANCID! BUT - (yes, there's a "but") - it's when the highest quality oils are "UNLOCKED" - leaving ALL the nutrition intact, and virtually 100% completely unharmed. Because that's EXACTLY what we've accomplished! ...And THAT'S why our health has benefitted like nothing you've EVER seen! This is literally the FIRST TIME in history the "Life Giving Oil" from seeds have been unlocked without ANY damage whatsoever! ...So why is this so exciting!? We're talking about tapping into the essence of life itself - at the highest possible level... ...in the purest, most concentrated form, EVER. that produces a 100% nutritionally-intact Seed Oil"
Want to call my bluff? ...Is there another company's oil you love? 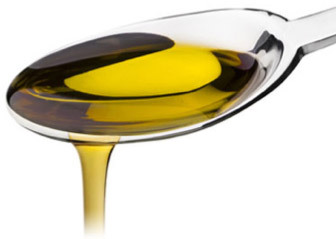 The Disturbing Truth About Seed Oil. It's disturbing to find out the oils you've been cooking, consuming, frying... and "seasoning" your food with - have been slowly damaging your body for YEARS. When I first stumbled onto this information, it left a serious knot in my throat. All seed oil companies around the world - have found it "deemed impossible" to release life from seeds without severely damaging the micronutrients. Because of this, they had to resort to producing seed oils the traditional way - leaving the micronutrients SO DAMAGED - they have to "over process" the oils, and the raw pressed oils always require refrigeration - why? Even the so-called "cold-pressing" technologies totally fail to deliver undamaged oils... the mechanical grinding and friction causes extensive damage! Now, you may wonder why this matters? it becomes DAMAGING to your body. In fact, it's been found that the digestion of oils is clearly retarded by their rancidity! And if you think that's bad.. some companies even use "chemical solvents" - commonly found in GASOLINE! Because there's virtually NO COMPANY that will openly admit their oils are rancid, substandard or harmful to your body! They just keep on producing billions of gallons of compromised seed oils - while we all involuntarily become their guinea pigs! When you ingest any oils, that we've found - other than those pressed through Andreas's patented "pure-press" system - you get oil that's subpar, and usually damaging to your body. And when you STORE that oil in typical "plastic", or even "quality glass" containers, you get oil that's RANCID! But the fact of the matter is - nobody else sells pure-pressed oils using our patented pressing process, combined with a protectant proven container to house your oils. "Pure-pressed" oils, (like ours) - DON'T need to be refrigerated, - we put our oils through rigorous third party testing to ensure every bottle is perfectly stable at room temperature. Hey, we've tested them after a FULL YEAR in the cupboard - without significant quality change! But if you are wondering, YES - there is definitely an unknown secret to pressing seed-oils this way. Of course are OUR exclusive seed oils! 1. The SOURCE & QUALITY of the Certified Organic NON-GMO seeds. 2. How the oil is PRESSED. 3. And how the oil is STORED. We've perfected every one of these steps. And you'd think #1 is where most companies fall short... and some do. #1 is just a matter of "choice" and standards. Not actual technique. #2 and #3 are where most FAIL. This simply comes down to "storing your oil" in a container that stops all harmful light which further protects these precious seed oils. The Miron bottle protects sensitive products from the quality-lessening influences of light. "MIRON violet glass offers a unique possibility to maintain the value of the products at the same high level of quality over a very LONG period of time." All our oils are instantly sealed in a new premium Miron Bottle, upon pressing. And that's why our seed oils are always preserved fresh, 100% of the time. The best seed oils demand the best packaging! "Pressing oils", as Andreas discovered - is an art. We don't use ANY of these. ....Because none of them work properly! 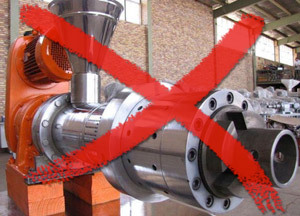 Each of these technologies go from bad to worse and each one takes a period of time, pressing, grinding or processing, each severely compromising the quality of the oil. There is a VERY sensitive process - if you want to "keep the life from the seeds" intact. It's called "INSTANT PRESS® Technology." First, seed-oil needs to be extracted in a fraction-of-a-second to deliver perfectly intact nutrients. Andreas is the first, and ONLY person to accomplish this, with the help of his mechanical engineer. His INSTANT PRESS technology remains coveted to this day. In fact, to date; he's been personally contacted by several seed oil companies, regarding his amazing quality and "zero-rancidity" lab results. Simply no other seed oils have tested so low for rancidity, let alone "ZERO", EVER! It's also important to note; our proprietary-pressing process also uses NO solvents! There is also ZERO mechanical grinding, which is also why our unique oils have no oxidation! Without question, we manufacture the purest oils you will find - anywhere on the PLANET. Our only problem was... deciding "which oil" to bring to you first. We decided to combine a strategically-selected group of oils and put them together into a multi-complementary formula! The revolutionary PanaSeeda blend significantly increases your health on many levels! Every organ in your body from brain, heart, respiratory, digestive, muscles and joints from head to toe are dynamically enhanced when you add PanaSeeda to your diet making your life a pure joy to be alive! 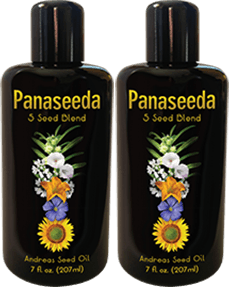 PanaSeeda seeds contain the DNA "blueprint of life" and are the perfect blend of nutritional seed oils containing 100% Life Energy, using - the most advanced German "instant press" technology! Activation Products and PanaSeeda exist only to get healthy people healthier. The Fact that dis-ease ceases to exist is just one of the numerous benefits you'll recieve when you become one of the first people in history to eat this Beyond Superfood. Rid your body of the age-creating invaders, like microbes, heavy metals, abnormal cells and free radicals. Than You Can Literally Keep Track Of..
PanaSeeda is the ONLY organic, raw, instant-pressed, shelf stable, "therapeutic" seed oil blend available - ANYWHERE! This is what we had in mind when we formulated Panaseeda. Pumpkin: Helps in regulating the level of cholesterol and also reduces the risk of stroke, heart disease and arteriosclerosis, and certain cancers. A powerful anti-inflammatory, pumpkin seed oil also halts unhealthy formations, such as kidney stones. Sesame: High in vitamin E, It also contains sesaminol and sesamin, which helps reduce the risk of heart disease and may protect the body from cancer. Also very high in B-complex vitamins, amino acids and essential minerals. An anti-bacterial & provides kidney support. Flax: Provides general well being and whole body nutrition and is considered to be nature's richest source of omega-3 fatty acids that are required for the health of almost all body systems. Also high in omega-6, 9, essential fatty acids, B vitamins, and minerals. Sunflower: Healthy for our cardiovascular system. It contains ample amounts of vitamin E and high levels of the essential fatty acids that cannot be produced from within our bodies. Sunflower also provides skin & cardiovascular support. Coriander: Found in King Tut's Tomb, a tonic for the heart and stomach. A natural aphrodisiac, anti-inflammatory, anti-oxidant, anti-bacteria and anti-fungal. Also a known home remedy for diabetes, coriander supports the pancreas, liver, spleen, and digestive system. fuel your body needs to absolutely flourish! These are the 5-seeds that - unified - enable Panaseeda's power of health. Sourced From The Best Places On Earth. We are very careful to buy only certified organic seeds that are fresh harvested. Each batch has to meet a strict criteria for freshness. The seed oil batches are lab tested for quality showing far superior numbers than any other oils on the market. The combination of careful sourcing and high technology press operations result in stable, fully beneficial, therapeutic seed oils. In the PanaSeeda 5 seed blend - all seeds are certified organic and tested for freshness on every batch. Because of the sensitivity of the oils, we take this process VERY SERIOUSLY. Panaseeda is something you MUST experience to truly understand. 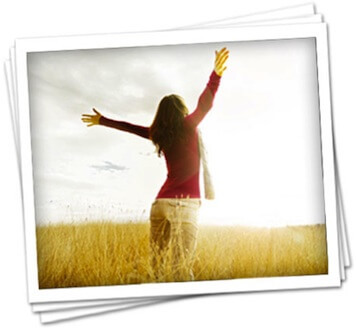 Take my word for it and do NOT deprive yourself - of the vitality hidden in your cells! Once you feel it, the "dot's will connect" and you'll intuitively understand it's vital importance. 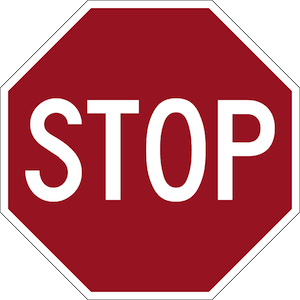 I want you to STOP for a minute. Imagine The Most Surreal Levels of Health, Vitality, Mental Acuity... and Passion. Now, Imagine Something GREATER Than That. ...And I want YOU to be EXCITED! "When you have the intact life-force - instilling building blocks to elevate your health, expanding your wellbeing becomes childs-play." ...Your cells will begin to thrive with power. ....Your blood will become cleaner. .....Your organs will function more optimally. ......And you are going to FEEL 100 times better! I am so happy I have Andrea's seed oil! This oil is cold-pressed and organic and is "Superfood" in a bottle ready to digest instantly! I have struggled with blood sugar issues my whole life. Since taking the seed oil I have noticed my thinking is sharper. I don't have to eat as much protein to keep my blood sugar at a consistent level. I highly recommended this oil, it's simply fantastic. Our family loves Andreas' Oils. They are the best oils in the world. I have been using them exclusively in all my dishes. I love pouring oil over my salads, chocolate mousse and homemade salad dressings. Thank you Andreas for seeking out the best organic seeds, using the highest quality presses, using ultraviolet light proof glass bottles, and making these oils! Our family is in our most vibrant health! Disease? ...Will be a threat of your past. 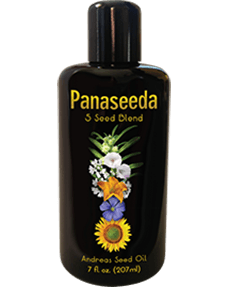 I firmly KNOW you're going to *LOVE* the Panaseeda oils in your body! "Try Panaseeda For Yourself - And You Will Experience A Wonderful Boost In Your Wellbeing! and we are very confident that you will too." And I know you're going to too! I promise it will be one of the very best health decisions you've made in your life and this is something that has increasing benefits the longer you keep it in your high level health protocol. And while I know that's a BIG declaration... we all know, because we're living it! To give YOU the opportunity to elevate your health every day going forward! That's what happens when you simply add in the missing pieces of the puzzle that makes you so healthy, you simply feel better and better every day going forward! I love Andreas' oils. They taste better than any other oils I've ever tried. I have noticed an improvement in my digestion and regularity. They have made my skin and hair soft and smooth. Give yourself two weeks to try them, and you will find that you cannot live without these amazing oils. ...You have EVERYTHING to gain here! 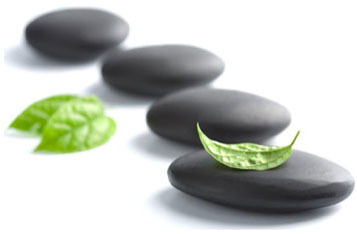 It's time for you to experience the energetic-vibration of healthy, vibrant cells. It's time for you to FEEL BETTER than you did as a kid! Currently, this is a limited window of opportunity. I'm inviting you to leave behind the "rotting-health paradigm" and join me in leveraging the single greatest life-force-creating advancement you may ever have the opportunity to embrace. If you sign up for our auto-ship program, you will be GUARANTEED to always have PanaSeeda in your body. And once you experience this 'Ultimate Micronutrition' for yourself, you'll instantly understand why getting on our auto-ship program is vital for your quality of life. 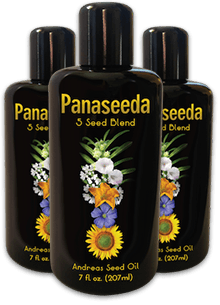 There are only three of these exclusive seed oil machines producing Panaseeda each day. At least, not for a while... we do have plans to significantly grow our production capacity over the next few years. As of TODAY - there's a limited amount of PanaSeeda available for sale to the public. So for now, consider yourself privileged for being exposed to this letter. P.S. When I say there's a limited amount of PanaSeeda available for sale to the public, that's not hype; that's not fake scarcity. If you're serious about elevating your health, this moment may be the most important 60 seconds for your health. Do yourself a favor and secure your Panaseeda NOW! FEEL BETTER... Or It's Yours FREE! © 2012 - 2016 Activation. All rights reserved.